Those bunnies turned out so sweet. I had a brainy idea as I was reading. If you make some for the boys you could leave an opening in the back and "stuff" them with treats. (If they are allowed😊) I like how you did all one piece. Thanks for the link. Happy Friday. Those bunnies are adorable, and the stockings are marching right along too. I think I am more relaxed when my hand have work to do. 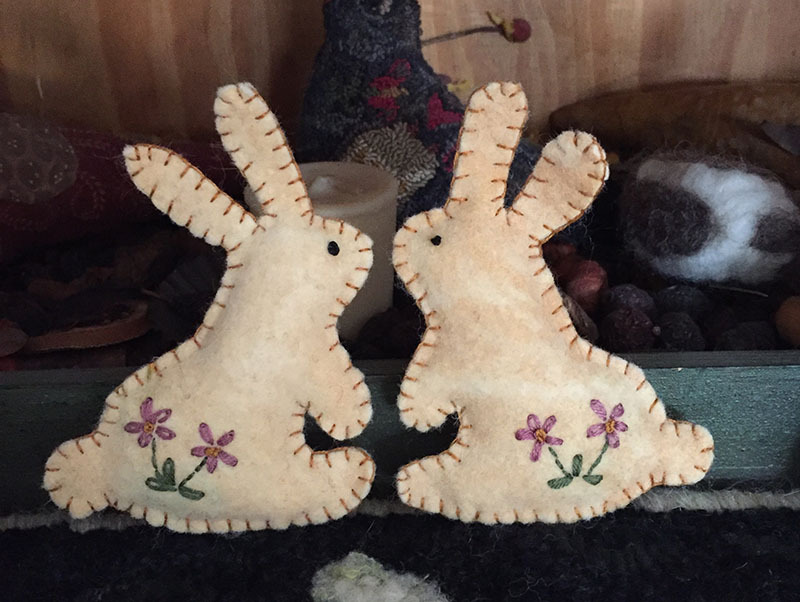 Bunnies are cute and the quilt is going to be wonderful. I need to do some sewing on my star quilt as it has been months. Stopped to cut more pieces and now I've no excuse. 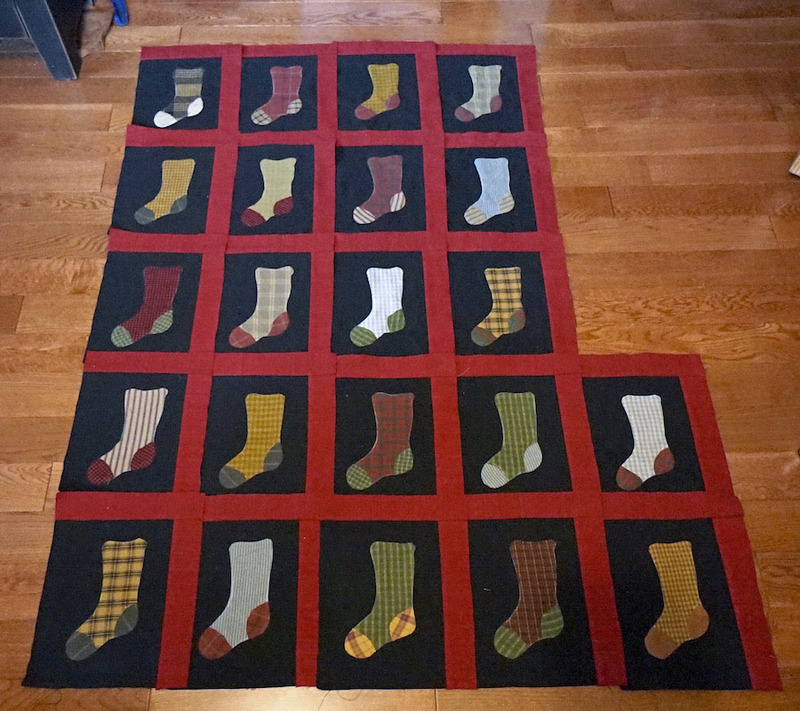 I also don't know if I'll hand or machine quilt mine when done. sweet bunnies ready for easter time..... I do love your little stockings - remind me how big each one is? very sweet bunnies! 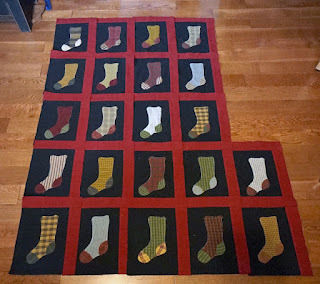 your quilt is really coming together.